It’s been a few weeks since I last had time to sit down and write an update. 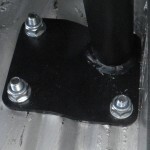 With roll cages, we give customers the option to either fit a weld in or bolt in roll cage. Both have their advantages and disadvantages, however both will keep occupants safe in an accident. We build weld in cages in house, and source bolt in roll cages from different suppliers, depending on the car. 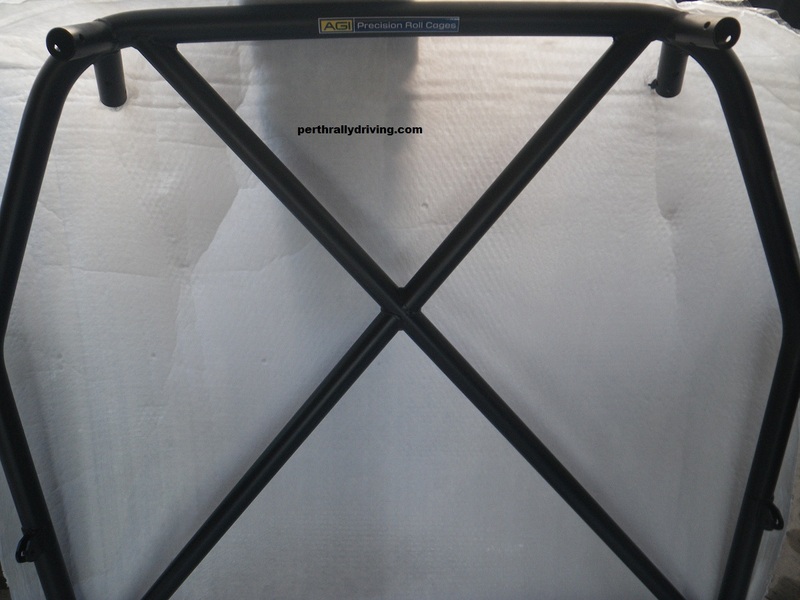 At the start of this post, I’d like to say that we’re not dealers or agents for the manufacturer of this brand of roll cage. This is an honest review of the supply and install of the cage only. For some reason, we tend to have a 50/50 split on the service we receive from some suppliers we deal with. Considering the Aussie motorsport market is small, you’d think that suppliers and manufacturers would bend over backwards to keep their customers happy, especially for minor enquiries. Sadly some suppliers treat their customers very badly. In this case, our dealing with AGI Roll Cages has been a very positive experience. From the time we placed the order for the cage, the guys at AGI helped out with pricing and options. They provided us with a date the cage would be delivered and it arrived on schedule, well packed with all the parts included. When researching cages to suit the car, we initially found AGI on the net as they produce a cage for the Excel racing series. Some quick emails and calls showed they produced a cage to meet the slightly different CAMS rally standard and so we ordered a bolt cage suitable for State level rallying. 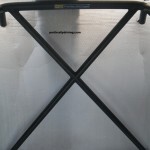 When the cage kit arrived it was packed in a large bicycle box with all the bars wrapped in soft packing to prevent damage. All the under body plates were loosely bolted to the cage pads and all the connecting sleeves had the correct bolts loosely fitted as well. The cage arrived already pre-drilled and painted with all the correct bolts and the bolt heads and nuts were the same size! This may not seem like a big deal, however when you need two different sized spanners just to do up one bolt, it becomes a real pain. Also another good innovation on the cage was the engraved markings on all the main parts and corresponding markings on the connecting sleeves to match them up easily. Assembly inside the car was a fairly straight forward exercise. All the major parts were put in first, the loose sleeves making it easy to hold bars in place and then slide the sleeve into position. The bolt holes were all precision drilled and we had no dramas fitting any of the bolts. Like any cage installation, we did need a slight tap with a block of wood and hammer a few times to get everything into position. The Excel floor pan is not flat where the front legs bolt down so it was encouraging to see the front leg pads are contoured to match the floor as well. It took us about 2 hours to unpack and get the cage into the car fully including tightening all the bolts that hold the cage together. We did need to cut the factory trims around the rear arches to give us a little extra space to get the rear legs in position, however nothing major. 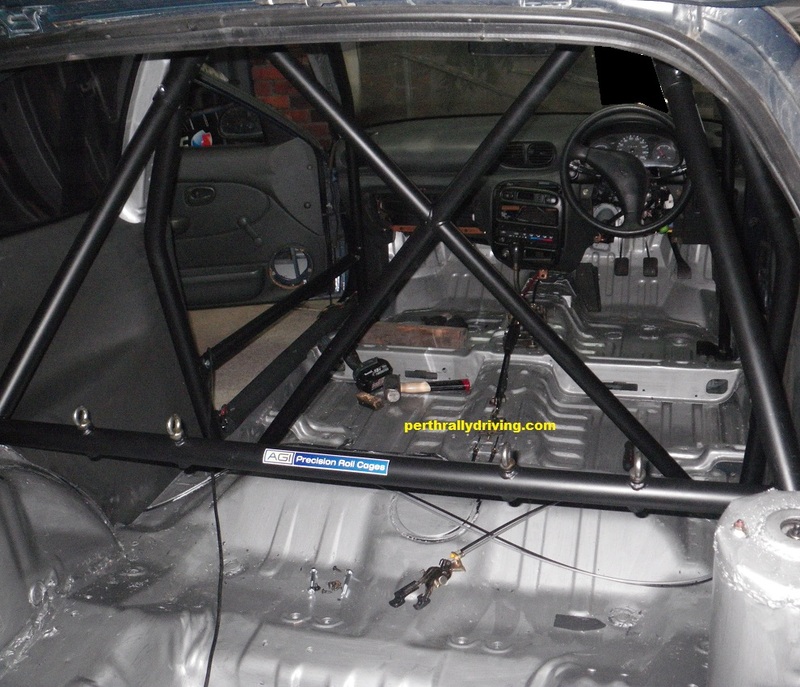 Once the cage was bolted together inside the car, the next step was to bolt the cage down. All the securing bolts were provided with the kit and the under body plates were all pre-drilled to match to the cage pads. The holes were all drilled without fuss. A couple of the holes had to be drilled from under the car as the access inside the car was too tight to get the drill into position. 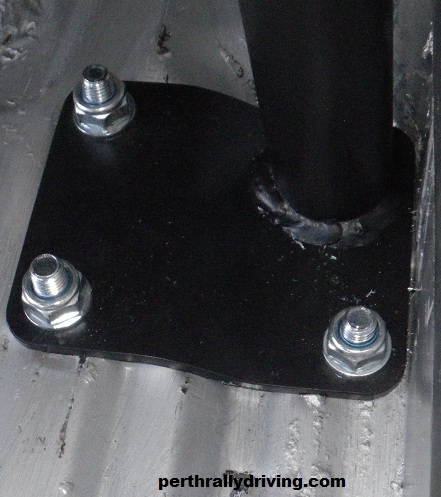 The rear leg pads were a little trickier to drill due to the clearance and angles of the harness bar. Longer drill bits worked fine and the rear pads were bolted in with the supplied Allen key bolts. All up another hour and a half or so. There were a couple of minor items we noticed with the AGI kit that have more to do with the design. The front legs could do with being slightly further out on the main hoop. This would bring the legs tighter against the roof line and gain maybe 10mm extra clearance on each side for head room. Also the roof bar across the top of the windscreen could do with being moved forward further as well. It could well be that AGI have designed the cage to allow for the roof lining and full interior to remain in the car which would explain the position of the bars. We’ll also check to see if the factory sun visors can be reinstalled which would be a handy bonus. 3 ½ hours work and the job was done. A good look at the cage once fitted shows that AGI have produced a very good CAMS compliant kit. No extra welding, cutting, sourcing bolts or even painting. Just get the kit and bolt it in. For the price (costs will vary due to the specs ie: race or rally, state or national) the AGI kit also represents excellent value for money. We’ve used a few different brand bolt in cages over the years. This kit had to be the easiest and most straight forward of the lot. From now on, if a customer requests a bolt in roll cage, our first call will be to AGI. What does it take to run a rally?